Wagtail CMS is a very good option if you want to build a dynamic landing page application. The Streamfield feature of Wagtail can let you customize your data model to fit the design. The FormBuilder feature of Wagtail can let you build a flexible and powerful form to collect data. Wagtail CMS is based on Django, which means you can use 3-party apps of the ecosystem to extend its feature easily. In this Wagtail CMS tutorial, I will teach you how to build a simple landing page using Wagtail, we would let the editor can control data displayed on landing page in Wagtail admin. startbootstrap-freelancer is the landing page theme here because it is based on bootstrap so it would be easy to modify or extend the theme. First, let's take a look at the sample landing page and try to analyze it. Below are the fields that we wish to make them editable. We would talk more about portfolio in the next step, let's first define page models to make other fields editable, and below is the code snipprt. We also need to modify template to make the value to show in page. If you have experience with HTML, this would be super easy. Most CMS can get tasks above done in an easy way, but I really doubt if they can also get tasks below done in an elegant way. Sometimes, we wish to define custom data models in pages so we can better manage them without touching tedious HTML. 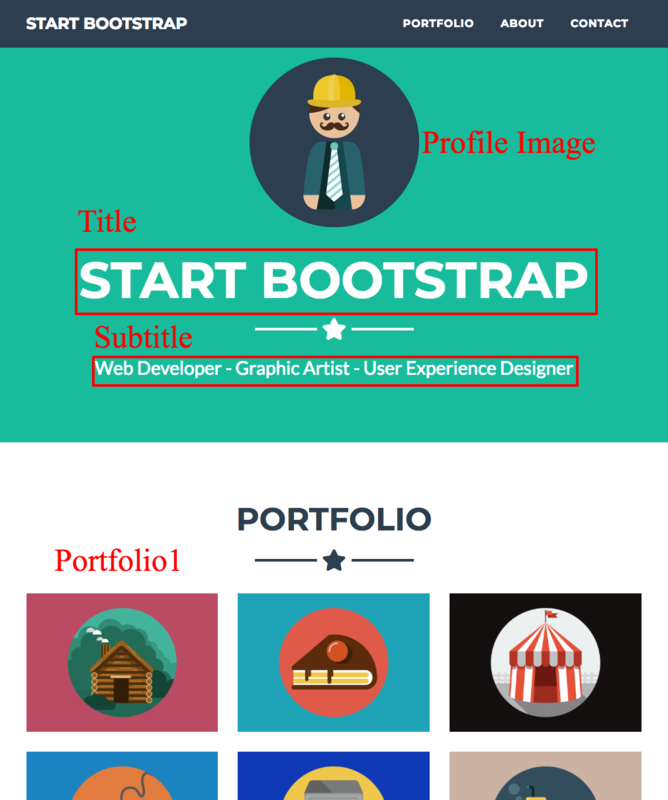 Here, what is the best way to create&edit the content of portfolio? We can treat portfolio field in the page as a container. Eash portfolio block has title, image, text fields. We can add content to portfolio block , edit, reorder to manage the portfolio of the page. Wagtail has a tech called StreamField to help us get this job done. With simple model definition code, we can config the model. As you can see this is very clean and easy to manage. Please check the video below to see how StreamField works here. In most landing pages, there would be a contact form for the reader to contact the site owner. But, what if I want to add another field to the form, for example, a dropdown list which tell me your profession? Can I get it done without coding? Wagtail has a FormBuilder feature to help editor create a flexible custom form with just clicks. Here I would show you how to use it to build a simple contact form, but you can also use it to build your own custom form. As you can see, this is easy and clean. After you defined the FreelancerPage, you an add, edit form fields in Wagtail admin. No coding needed any more. Please check video below to see how FormBuilder works in Wagtail. In this Wagtail tutorial, we learned how to use Wagtail CMS to build a landing page application, Wagtail CMS has 2 advantages compared with other CMS. The StreamField is flexible and can let you define custom models in easy way. The FormBuilder feature is also powerful and flexible, you can quickly build custom form in your application without using 3-party services.